Imagine yourself in the Imperial Court of 18th century Russia. You are a young girl, the daughter of a tradesman- a gifted tradesman, who has managed to capture the attention of an Empress- but a tradesman all the same. Because of his notice by the Empress, your father secures a promise from her majesty to protect you in the event of his death . When he dies, you go to the palace of Empress Elizabeth of Russia and find yourself embroiled in a hotbed of intrigue, indulgence, greed and paranoia. This is the story of Barbara (Varvara) Nikolyevena, a fictional representation of a person or persons who most surely existed in the courts of first Empress Elizabeth, then later in the court of Empress Catherine the Great- and most surely other royal courts throughout history. A person whose very existence counted on them being the eyes, ears and tongue to the person who held the throne. 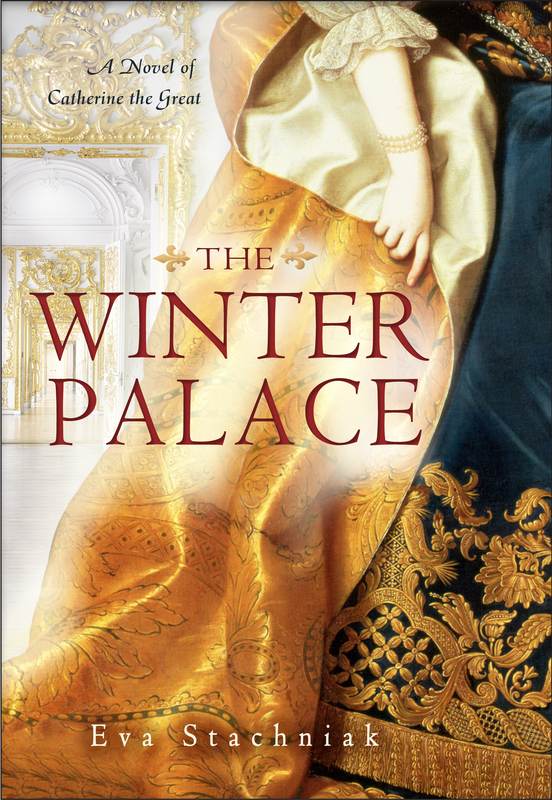 In The Winter Palace Stachniak has brought Imperial Russia to life in a most exquisite and horrifying way and does it using the un-jaded eyes of someone who is an outsider given a rare glimpse into the innermost secrets of the working of a monarchy. Rulers, especially those who seized the throne as Elizabeth did, need to have eyes and ears everywhere. They must constantly be on the lookout for a plot to overthrow, a betrayal or secrets they can use as leverage against someone at an opportune time. This need was especially important inside the palace walls, where the most insidious machinations took place. Using Barbara, or Varvara ( the Russian version of her Polish name) Stachniak creates a plausible series of events to show how a person of seemingly little importance could offer such an invaluable service to an Empress, but also to illustrate how precarious the balance of power and the whim of favor could shift. She also uses this fictional figure to illustrate how a good person can be hardened and embittered over the course of time and events and even the most rapacious individual can experience moments of generosity and regret. After reading The Winter Palace you come away with the lasting impression that good and evil are neither simple or well-defined and the choices we make in life are not always ruled by our moral code, but are often tempered by a lack of options, our inherent need to survive – or both. I believe this is a message the author has effectively related in this wonderfully rich and multi-faceted tale of a young girl who experiences the last days of one Empress’s reign and the molding of another who would become one of the most famous monarchs in Russian history. We highly recommend The Winter Palace. It is an incredibly enjoyable and fast-paced read. This entry was posted in Book Review/ Recommendation, Book Reviews, books, PostaWeek2011 and tagged Bantam Books, Book Review, books, Catherine the Great, Eva Stachniak, Fiction, New Books, New Releases, postaweek2011, Recommendations, Russian history, Simple Pleasures Book Pick, The Winter Palace. Bookmark the permalink.